In the modern, tech-savvy world, the best way of promotion and marketing is through social media. The term used for this technology and online based marketing is digital marketing. There are various types of social media platforms that can be used for digital marketing purposes, but a very effective platform is Instagram. 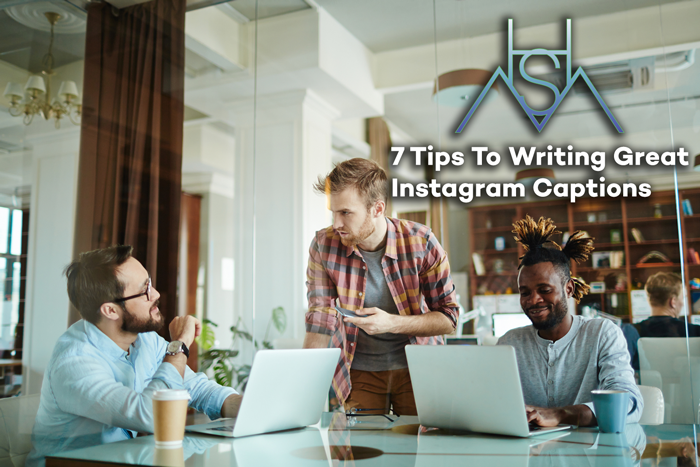 However, while using Instagram for as a part of your digital marketing strategy, there is a lot more that goes into it than just posting visually appealing images; you must still focus on the most important aspect that will fetch the maximum results, which is the effective writing of captions. Brevity: The first and key focus of your caption should be on its simplicity. Yes, it’s absolutely true that there is nothing more attractive than a simple and brief caption for your Instagram post. Long captions are often confusing and repelling, which results in negative engagement with your brand. Appealing: When you’re creating your brief caption, make sure it is interesting and appealing – not boring and dull. Of course, when you give an eye-catching caption/title that creates interest, more and more traffic will be attracted towards your content. This solves half the problem of your digital marketing – Get creative, use emojis or other visual elements outside of text to drive eyes to your captions. Straight To The Point: This is a very significant factor. Your caption should not lounge on the sides, but should be expressing the main point – basically, be blunt. Short and to the point captions only can work as killer captions that will bring in numerous eyes thus fulfilling what exactly you need. Relevance: Your caption needs to be relevant in the sense that it should match your digital marketing strategy – ask yourself, “Whats The Message?” Focus on the point you want to show and make the caption relevant for your promotion. Legibility: Make sure there are no spelling, grammar, punctuations or any kind of phrase or sentence construction errors. Errors will have very bad effect on the viewers, consequently making your engagement rate drop. Image Related: Pay attention to the fact that your captions add an extreme amount of value to the image you give with it. The caption should be properly related to the image. Remember, images that don’t properly convey your message are worst than images with no captions. Quality Hashtags: Ensure your hashtags are geared towards your demographic user base or reaching the users you want to engage with your product/service. Properly using the correct amount of hashtags, without being overkill, aids in this process. Another way to use more hashtags, without cluttering your caption area, is simply keeping the hashtags in your caption section short and sweet, then utilizing your comment section and posting a comment with the additional hashtags you would like to use.